Dog basket includes: peanut butter dog biscuits, leash, gingham dog bone-shaped toy, rope, and bee toy. Recycled yarns, azo-free dyes, printed cotton-canvas, eco-fiber fill. Nickel-plated steel. Made with recycled yarns, recycled plastic, and biscuits made in USA. Dog gift bucket filled with three heavy-duty natural rubber felt tennis balls, chicken dog biscuits, butterfly rope toy, and dog bone rope toy. Tin, recycled yarns, azo-free dyes, appliquéd cotton, eco-fiber fill. Made with recycled yarns, recycled plastic, and biscuits made in USA. Pamper your pooch with a whimsical message and a welcoming spot for water and food bowls with the Nourison Pet accent rug. Open-vented slits provide a secure, comfortable fit. Textured sole for added grip This Good Dog Toy Bin is the perfect place for all their toys. An earth-friendly storage bin made from 100% recycled materials. White good dog bone on red. Featuring a bright print and stitched appliqués, this bag dispenser clips onto any leash, so that you and your pup are always prepared. Durable, machine washable tote bag with "Dog People Get It" print. 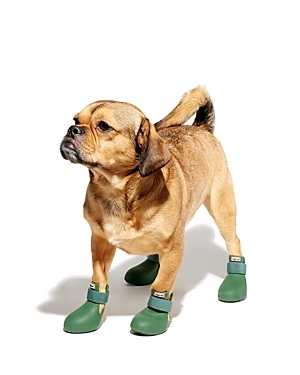 It’ll fit everything your dog needs for their next walk in the park, made by BARK. Made by dog people, for dogs and their people, backed by BARK’s Happiness Guarantee. Durable tote bag, tennis ball pouch, and poop bag holder, bundled together for your pup’s next adventure. 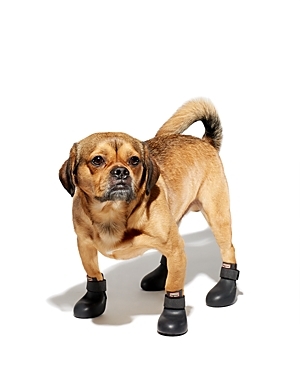 It’s got everything your dog needs for their next walk in the park, made by BARK. Made by dog people, for dogs and their people, backed by BARK’s Happiness Guarantee. Tough selfie stick dog toy for tugging and squeaking, it’s perfect for playtime and photo opps. It’s one of the basics you need to break the internet, made by BARK. Made by dog people, for dogs and their people, backed by BARK’s Happiness Guarantee. Keep doggie treats, toys and leashes corralled in this charming wicker chest. This extra large, long, stretchy tiger dog toy is perfect for a pup who relishes a good game of fetch or tug-of-war. It's one of the greatest hits from 5 years and 10 million BarkBoxes, BARK's monthly subscription of toys, treats, and crazy dog joy. Made by dog people, for dogs and their people, backed by BARK’s Happiness Guarantee. This disposable camera dog toy brings back memories of yesteryear. We packed this toy with tons of fluff and a Large squeaker. 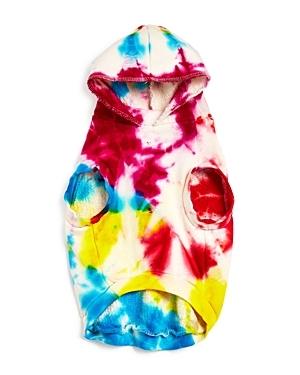 The crinkle in the camera snaps and crackles as your dog bites into it. Made by dog people, for dogs and their people, backed by BARK’s Happiness Guarantee. This vintage camera dog toy will snap your pup into playtime. We built this toy with a t-shirt rope and a medley of materials to jumpstart your dog’s creativity. The camera’s packed with tons of fluff and a Large squeaker. Made by dog people, for dogs and their people, backed by BARK’s Happiness Guarantee. Say hello to Spring with this multi-part flower bouquet dog toy that'll never wilt. It's one of the greatest hits from 5 years and 10 million BarkBoxes, BARK's monthly subscription of toys, treats, and crazy dog joy. Made by dog people, for dogs and their people, backed by BARK’s Happiness Guarantee. This camcorder dog toy will capture your dog’s best playtime moments. We packed this camcorder with fluff and a Large squeaker for your pup to chomp down on. The camcorder’s t-shirt rope handle makes it easy for dogs to carry. Made by dog people, for dogs and their people, backed by BARK’s Happiness Guarantee. This microphone dog toy will jumpstart your pup into karaoke stardom. This mic has a spiky ball squeaker inside and a tuggable nylon cord. Your pup won’t be able to resist biting down on the fun mesh mic cover. Made by dog people, for dogs and their people, backed by BARK’s Happiness Guarantee. This cocktail dog toy is the perfect playtime refreshment for your pup. The yummy daiquiri is filled with fluff and a spiky ball that your dog can play with when their drink (with a crinkly rim) is finished. Made by dog people, for dogs and their people, backed by BARK’s Happiness Guarantee. Massachusetts, this rustic pine rack features three hooks—perfect for hanging dog leashes, keys, and reusable shopping bags. A hand stenciled black Lab defines your home as "dog friendly" while celebrating the most important member of your family. Designed exclusively for Orvis by a husband-and-wife team. Hang indoors or out. "RUB MY BELLY FOR GOOD LUCK" engraved text. Acrylic; ring: nickel-plated metal The Fido Canine Trucker Jacket will keep your pup warm yet on trend through cooler weather. It features a traditional shirt collar, snap button closure, and a harness hole. A solid brass center ring allows the latigo leather collar to roll a bit, reducing the chance of your dog getting caught up in the brush or on a fence during the hunt—the ring is always accessible, making it incredibly easy to attach a leash quickly. This design is the preferred collar of most bird hunters. Crafted with solid brass hardware and American-sourced, vegetable-tanned latigo leather. Hand-polished edges. In burgundy. Wipe with damp cloth. Made in USA. A stylish design that does not mat down your dog's hair thanks to the rolled shape—the ideal leather collar for long-haired dogs. Crafted with solid brass hardware and American-sourced, vegetable-tanned latigo leather. Hand beveled and hand polished edges promise maximum comfort A distinctive dog collar with an actual brass shotgun hull and plain leather lead both crafted in genuine, finely tanned leather. 6' lead sold separately or by the set and save. Made in USA. This handsome collar and lead boasts designs inspired by the sporting life. High-tensile nylon webbing, cast hardware, Coast Guard-approved buckles, and stain- and fray-resistant ribbon make these fun collars tough enough for a lifetime of use. Choose between 3 unique designs. In green (pheasant), camouflage, olive (fly fishing), moose, pawprint. Make sure your dog stands out in the crowd with this fashionable slide-on collar bandanna. Slips over your dog's collar so it won't fall off or annoy your dog. Pure cotton. Washable. Ribbon dog collars are made from high-tensile strength nylon webbing with sewn-on polyester/nylon ribbons. The ribbons are stain and fray resistant; designed to last a lifetime. All collar and lead hardware is cast, not welded brass for extra strength. Deny Designs is an ever-changing collective of talented artists who churn out fresh, statement-making pieces, all proudly made in the USA. A portion of each purchase goes toward supporting art communities worldwide. This lightweight triangle-cut pet bandana is topped with a multi-color marble print by the talented Jacqueline Maldonado. Deny Designs is an ever-changing collective of talented artists who churn out fresh, statement-making pieces, all proudly made in the USA. A portion of each purchase goes toward supporting art communities worldwide. This lightweight triangle-cut pet bandana is topped with an allover eye print by design duo Dash And Ash. In 2011, Shannon Clark began her own photography business. She likes taking ordinary, everyday things and adding a fun, colorful twist to them with a variety of vintage to modern finishes and effects. She believes there is beauty in everything all around, and it can be brought out in fun and unexpected ways. Pull-over style with hood Two leg openings Featuring a menswear-inspired print, this bow tie collar is well-suited for handsome hounds. Keep your pup cozy as can be with this hand-knit wool sweater - it's designed with a convenient harness opening in the back, so it's perfect for cold weather walks. Melamine Glass and hand-painted majolica jar with Courtly Check® collar accent is just the thing for storing treats for our furry friends. A charming accent to set atop your countertop, this vessel is perfect for storing treats and biscuits - for humans or for pups. A charming accent to your countertop, this vessel is perfect for storing your pup's treats and biscuits. Perfect for treats or kibble, these well-crafted canisters feature a gold-toned bone motif and a secure, locking lid. A charming accent to your countertop, this vessel is perfect for storing your pup's treats and biscuits. This season, it's all about checks for Spot! For your furry friends, choose the Courtly Check® Large Pet Dish. The heavy-gauge steel under body is strong enough to withstand the mealtime antics of the hungriest hounds, and hand-painted Courtly Checks® are fashionable enough for the choosiest canines. With a subtle jewel-tone palette woven by an artisan's brush through the glossy, hand-painted, high-contrast checks, we've yet to find a pet that doesn't look good with Courtly Check Inspired by pets that have become family, our Design Team in Tallahassee, Florida created the Pet Line with fondness. Keep your pup happy with the Color Block Dog Bone Large Bowl. Perfect for a small to medium pet's food or water. Celebrate all of life's little helpers with our perky Vice Canisters. Each canister is designed and sculpted by Jonathan and his team in our Soho studio, then crafted from white porcelain and glazed with rich hues. Get a gaggle for your kitchen countertop, or keep one bedside for any late night cravings. Sturdy enough for even the messiest of eaters, this porcelain dog food bowl is designed to look great in your kitchen. Sweet illustrations of your favorite breed sitting patiently decorate the outside of the bowl. Dishwasher safe. Sloped sides keep floppy ears out of this Bauer Pottery dog bowl, making it perfect for spaniels and other long-eared pups. 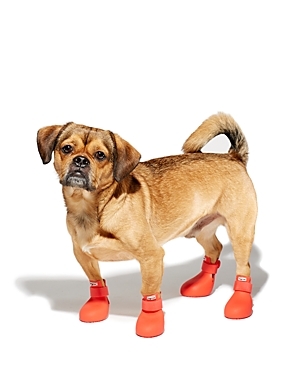 An easy solution for messy, dripping-wet dog ears. Made of heavy-duty earthenware clay and finished with a lead-free glaze, this vibrantly colored ringed bowl is sure to brighten up your dog's feeding area Brighten up your dog's feeding area with a colorful, heavy-duty ceramic Bauer Pottery Dog Bowl made with earthenware clay and finished with a lead-free glaze. Bauer Pottery boasts deep roots in creating brightly colored functional pottery. Established in 1878 in Louisville, Kentucky, Bauer Pottery relocated to Los Angeles in 1910 (where it remains today), and is known for producing vibrant vintage pieces for every household. Embossed with "DOG." Dishwasher safe. Place your dog's bowls on top of this low-profile Water Trapper pet placemat to ensure that the area around your dog's feeding station stays clean and dry. The premium 24-oz. polypropylene fiber is mold, mildew, and rot resistant. Perfect for your farm dog, or your farmhouse-inspired home. Each sturdy pottery bowl is wheel thrown in Vermont from Massachusetts-sourced stoneware, and hand dipped in a lead-free, scratch-resistant glaze. In beige. American stoneware. Dishwasher safe. Woodstock, Vermont. Waterproof and stain-, mildew-, and mold-resistant—this easy-care Dog Bone Indoor/Outdoor Rug is truly designed for the dog-friendly home. Great for use indoors or out, this rug is as durable as it is versatile. The dog bone shape adds a touch of personality. Deny Designs is an ever-changing collective of talented artists who churn out fresh, statement-making pieces, all proudly made in the USA. A portion of each purchase goes toward supporting art communities worldwide. This lightweight, waterproof plastic mat is perfect for placing under your pet's food and water bowls to protect your floor. Comes print with a tropical leaf pattern by Madart Inc. Deny Designs is an ever-changing collective of talented artists who churn out fresh, statement-making pieces, all proudly made in the USA. A portion of each purchase goes toward supporting art communities worldwide. This lightweight, waterproof plastic mat is perfect for placing under your pet's food and water bowls to protect your floor. Print with original cacti artwork by the talented Iveta Abolina. Deny Designs is an ever-changing collective of talented artists who churn out fresh, statement-making pieces, all proudly made in the USA. A portion of each purchase goes toward supporting art communities worldwide. This lightweight, waterproof plastic mat is perfect for placing under your pet's food and water bowls to protect your floor. Comes print with misty mountain imagery by artist Wonder Forest.